Are you unhappy with your weight and or figure? Do you want to lose weight to improve your career, relationship or just for that holiday bikini body? Book onto our proven weight loss programme, which will help and support you to lose weight quickly, safely and keep the weight off! 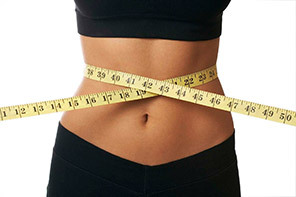 Body measurements fat % and lean tissue % ,waist and hip ratios so your success is monitored. Helps you change your habits towards unhealthy foods and actually ensures you will be internally motivated to getting the results you want. Personal training – exercise periodisation can be prescribed to ensure you work out smarter not necessarily harder, thus toning and developing that body quicker. Structured programme proves you can lose weight faster over 6 months (an average of 11.8kg) than people using less structured guidance (8kg loss). Confidential consultations can be arranged. For more details click here.